Fifty years ago, almost to date Jawaharlal Nehru led India to a military diasater whose effects are still felt today. For a month from October 18th 1962 till the middle of November the troops of the Peoples Libaration Army, China punded India into defeat and inexplicably retreated back to their positions, beyond the MacMohan Line. The military defeat of India has been studied in the Henderson Brooks Report which fo9r some reason has not been made public. However, facts have emerged in recent years which clearly show that it was Jawarharlal Nehru and his then defense minister Krishna Menon who were primarily responsible for the disaster. 1962 lives in popular imagination, but the ghost of that stunning defeat have not been exorcized. The great Athenian historian, Thucydides wrote in his History of then Peloponesian War the states go to war because of (1) honour, (2) fear and (3) interest. This triad of motives still forms the basis on which inter state conflict can be studied. China and India have had two thousand years of peaceful coexistence which Nehru in his misbegotten ambition to overawe China and its revolutionary leadership almost destroyed. The two sectors in which India and China had serious disputes was the Aksai Chin Sector and the Twang Sector. In both these sectors the Chinese leadership indicated a willingness to negotiate, but it was the intransigence of Nehru and his factotum, Krishna Menon, which came in the way. The fact is that the alignments on the MacMohan Line pertaining to these two sectors were drawn up at a time when China was already been defeated in the Opium Wars and after the Western intervention following the Taiping Rebellion and more damagingly the surveys were undertaken after the Boxer Rebellion, particularly in the Ladak region adjoining the Aksai Chin. 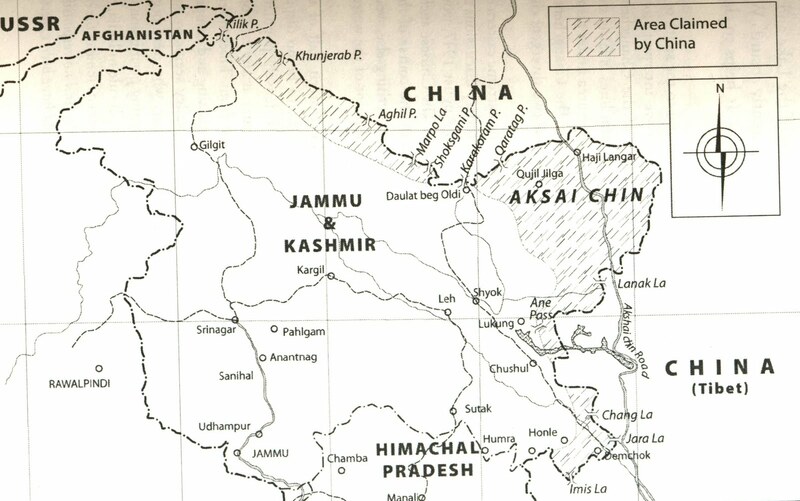 The British era maps as A G Noorani has shown in his book India-China Boundary Problem: History and Diplomacy were very faulty and often showed Indian claims as lying in China and Chinese claims as falling on the Indian side of the Line. As Lord Curzon and following him many have remarked that frontiers do not become boundaries. 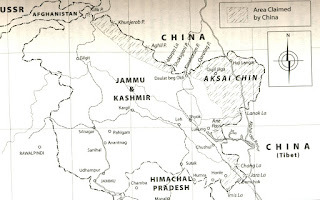 China was able to negotiate successfully with all the seven countries with which it had serious territorial disputes and there are questions only with regard to the Sino_Indian frontier. This fact clearly demonstrates that the Indian leadership was at fault. Instead of negotiating with Chou en Lai who repeatedly called on Nehru, the then Prime Minister and his Defense Minister" Krishnamenon advocated what they called a Forward Policy. The Indian Army was not in favor of the forward policy as they knew that the lay of the land favoured the Chinese and that the Indian Army did not have the means to tackle the Chinese. Without any preparation or even a strategy the political leadership forced the Indian Army to fight a battle/ war it knew it could not fight. The result was absolute chaos. China cannot be blamed for the failure of the Indian political leadership. The issue of the unresolved Boundary Dispute got further entangled by Indian involvement. 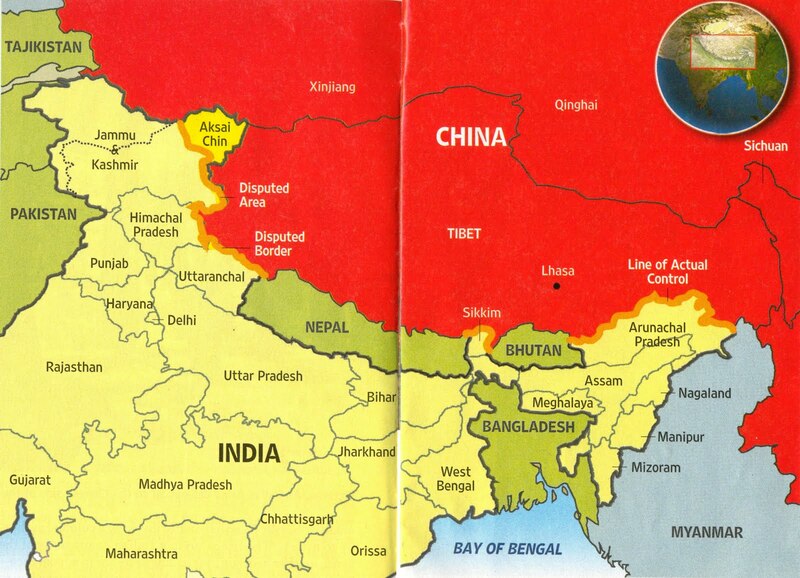 much against Indian national interest in the Tibetan Issue. Anyone who knows the history of China will say that Tibet had always beenn a part of China. From the late nineteenth century, and more specifically from the time of Lord Curzon the Indian Government tried to make Tibet a client state by detaching it the suzerainty of China and almost succeeded. China which was very sensitive to the "unequal treaties" repudiated these agreements and India being an Asian country which had got freedom from colonialism must have encouraged China to assert its rights. 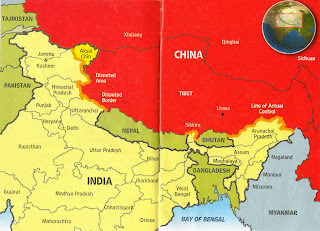 Nehru unfortunately chose to uphold the colonial legacy and that mind set resulted in tension over the issue of Tibet. China was driven to war by the wrong and contradictory polcies of the Indian Government as articulated by Jawarharlal Nehru.